Last week, we discussed the case of a 17-year-old author who fell victim to yet another defunct publisher. His mother didn’t know if she could trust another one. And, her concerns were completely valid! Investing hundreds to thousands of dollars to get your book published, only to lose everything months or years later, including your files, is a tragedy for any author. Authors of traditionally published books are also at risk. 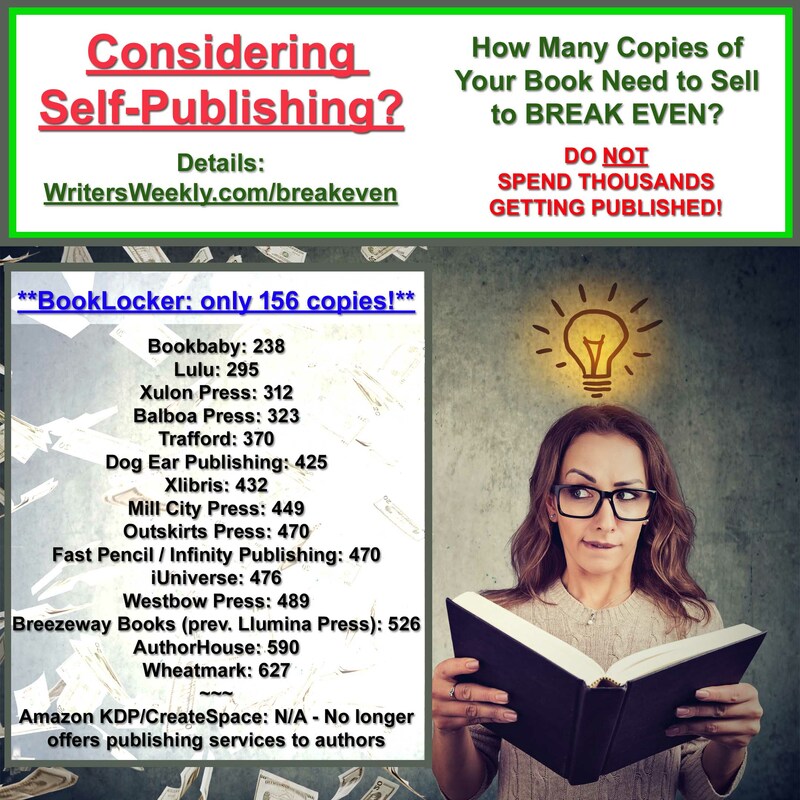 Imagine spending a year or two, or more, working with a publisher only to have them shut their doors, leaving you in a lurch, and with no book for sale. While Googling the name of a publisher before plunking down any cash is always a good thing, the sad fact is that most authors don’t do their homework because they’re so excited about getting their book on the market yesterday. While some fall for the false “you’re book is sure to be a best seller!” marketing verbiage, others think that a firm with such a pretty, professional website couldn’t possibly be at risk of failure, right? So, today let’s look at some print on demand publishers, publishing service providers, and even a handful of traditional publishers that have gone belly up. All Romance E-Books – “We will be unable to remit Q4 2016 commissions in full and are proposing a settlement of 10 cents on the dollar (USD) for payments received through 27 December 2016. We also request the following conditions: 1. That you consider this negotiated settlement to be ‘paid in full’. 2. That no further legal action be taken with regards to the above referenced commissions owed.” Wait…what? America Star Books (a.k.a. PublishAmerica) – While they never officially announced they were out of business (their websites are still operating but one is now in a foreign language), they have reportedly stopped responding to authors. There are numerous complaints about unpaid royalties and their authors are in a lurch because this publisher took all rights. The authors can’t move their books to other publishers without taking a legal risk in doing so. Read Victoria Strauss’ detailed expose’ RIGHT HERE. American Book Publishing – According to Writer Beware’s last report, they were no longer publishing, but were still selling books. Commonwealth Publications of Canada – Read about the dealings of this firm RIGHT HERE. Gardenia Press – Either the owner died or they went bankrupt. Perhaps both. Green Ivy Publishing – 55 “reviews” about them on pissedconsumer.com with $150K in estimated losses. Helping Hand Literary Services / Janet Kay & Associates / JanGeo Ink / George Harrison Titsworth / Janet Kay Titsworth – The owners were arrested, charged, and sentenced to 10 years probation each. They were also ordered to pay $159 million in restitution. Medallion Press – Filed for Chapter 7 bankruptcy on October 17, 2018. “Under a Chapter 7 filing, a trustee will liquidate a company’s assets in order to earn as much money as it can to pay creditors.” Read more HERE. Mud Luscious Press – Tyler told PW that Mud Luscious books were selling “unexpectedly well” to the point that producing and promoting them was “stealing from the future budget” and creating a “financial shortfall.” Yeah, that doesn’t make any sense to us, either. Northwest Publishing – The owner faced up to 10 years in prison. Paladin Press – Closed at the end of 2017 after 47 years, a few months after the publisher, Peter Lund, died. Press-Tige Publishing / Martha Ivery, a.k.a. 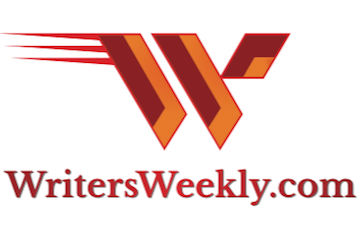 Kelly O’Donnell – Martha Ivery sent me numerous racial and profane comments via email after we exposed her shenanigans on WritersWeekly Whispers and Warnings. She was eventually sentenced to 65 months in prison. Tate Publishing – After claiming to publish 30,000 books, the owners were arrested on several felony charges. While they initially were sending authors copies of their files (and charging extra money for them), it’s been reported that they are no longer responding to emails or letters from authors. If a firm has been sued by an author or supplier, that’s a HUGE red flag. Numerous things have to occur before a lawsuit is filed and any firm that has been sued had plenty of time to rectify those problems. If it was a class-action lawsuit, that’s even worse. Avoid firms that contact you out of the blue. Bottom feeders are always at risk of going out of business and any firm that spams you after finding you listed as an “author” online should be avoided. Avoid doing business with a firm that has changed its name. That is a common tactic companies use to try to distance themselves from previous complaints. The Better Business Bureau will even give a company a brand new, fresh page if they change their name! All previous complaints and even their previous BBB rating, will simply disappear! They also do this if a company simply changes their location. Avoid a firm that has been sold, and then sold again, and again. Firms that are frequently being sold to the next hopeful investment firm aren’t showing enough profit to be of value in the original investor’s portfolio. Eventually, the firm won’t have any value, and will be shuttered by the poor shmuck who purchased them last. Avoid firms that have multiple complaints posted about them online that follow similar patterns (i.e. unpaid royalties, no or slow responses from the publisher, accusations that the service end of their business ended once the check was cashed, etc.). One, or two, or even a handful of bad reviews, in relation to the number of books that firm has published, is to be expected. And, you should always keep in mind that some disgruntled employees and even competitors can post false negative reviews about a company, including under a variety of names. But, if you are seeing dozens of negative reviews that seem to revolve around similar themes (non-payment of royalties, the publisher ignoring its authors after they paid the initial fees, extreme disorganization, repeated use of the words “scam” and “rip off,” etc. ), you should avoid that firm at all costs. Avoid firms that have complaints related to taking too long to get a book on the market. Many are in a hurry to get your up-front payment, but aren’t able to provide the services later because they’re swimming in debt, and can’t afford to hire more people. If this occurs, you’ll receive months or years of excuses and your book might never be published. Avoid, at all costs, firms that claim all rights to their authors’ production files. This is the one that that will screw you royally if they go under. Good luck getting copies of your files after they stop answering emails and phone calls. Authors should never, ever sign over the rights of their production files to publishers, no matter how good they make that “special deal” look. If an author retains the rights to their production files, they can use those files anywhere they choose if that publisher goes belly-up. 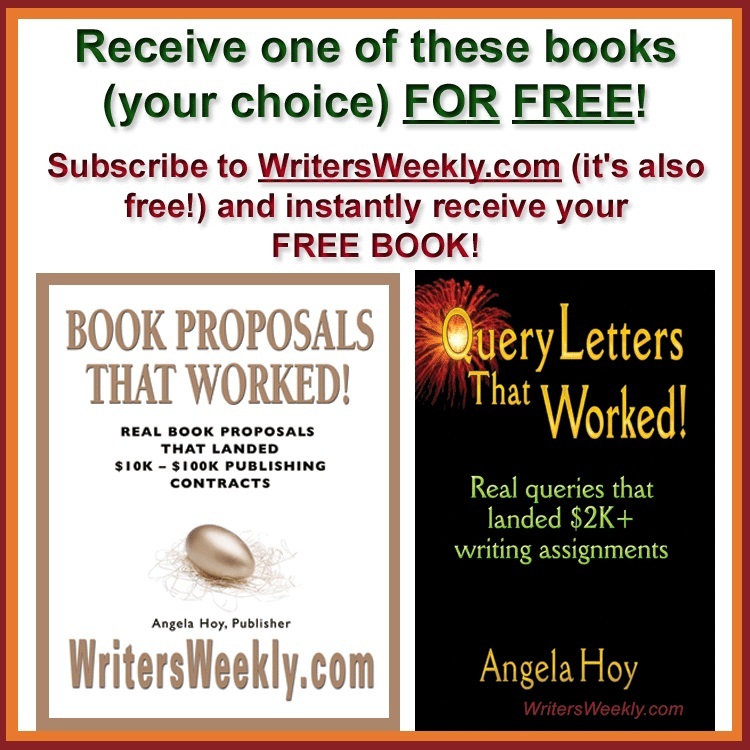 If the publisher owns the rights, the authors must start all over again to get their book republished, including paying for new editing, new cover design, and more. See a very short list of publishers that do NOT take all rights HERE. Do you know of other firms that have gone out of business? Please let us know in the comments section below. 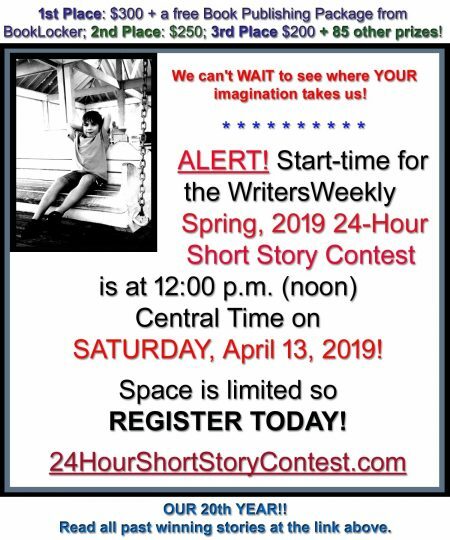 Get Published by a EXCELLENT, Stable Company for only $675! 4 Responses to "Is YOUR BOOK at Risk?! List of 24 Publishers Who Bit the Dust…and WHY"
Would like to speak with anyone who was also with Booktango. They apparently are in business under a different name (AuthorHouse and Content Distributors) and are still holding publishing rights of books they published. Royalties are being paid to them and they are not responding to inquiries. Good to know. I’m sharing this on my Twitter account.